Rumors broke yesterday that Ikea was going to recall millions of dressers today. And they were right. But it’s not just the Malm, as we originally heard. Ikea is recalling 29 million dressers of all varieties in partnership with the US Product Safety Commission after the death of a 22-month-old child who was crushed by a Malm dresser earlier this year. 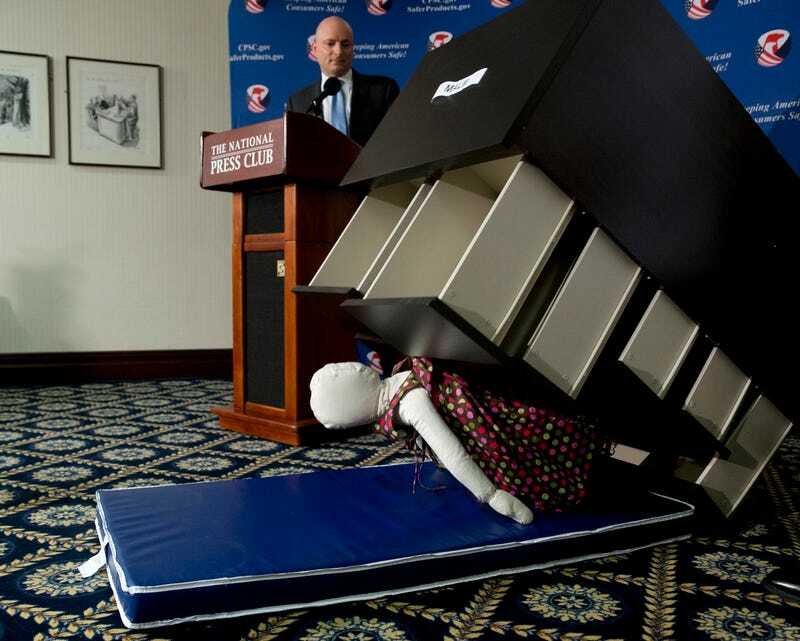 Three American children have died from Ikea dressers in the past two years. When the dressers aren’t properly bolted to the wall they can easily tip over when the drawers are open. Ikea has even taken the dramatic step of discontinuing some types of Malm dressers entirely, wiping them from the company’s website yesterday. The six models of Malm dressers that are being recalled are below. “Last year, we launched a repair kit program to communicate the importance of wall attachment, which resulted in the distribution of 300,000 kits to consumers who had not used their original hardware,” an Ikea spokesperson told me over email late last night. The list of other dressers affected by this recall is extensive, including everything from the ALESUND four-drawer model to the VOLLEN three-door model. You can see the complete list of non-Malm dressers that have been recalled here. Ikea is offering consumers who have purchased one of their recalled dressers two options: a free wall-anchoring repair kit or a refund. Consumers can order a free wall-anchoring kit at the Ikea website. If you’d prefer a refund you can read more about that at Ikea’s website as well.